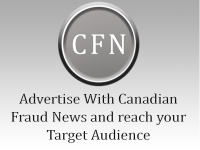 June 11,2018 – At Canadian Fraud News, we report on decisions issued by Canadian Courts related to fraud, that are not reported in the main stream media, and that contain legal issues the Canadian public and fraud recovery experts should be aware of. The following is one such story. On May 29, 2018, the Ontario Superior Court of Justice in Toronto released its decision in response to an abuse of process application brought by April Vuong and Hao Quach (“Vuong and Quach”). Vuong and Quach had moved to stay proceedings based on an infringement of their rights under section 7 of the Charter. The Court held that the consent by Vuong and Quach to a disgorgement order of greater than $5M in the face of an Ontario Securities Commission (“OSC) securities fraud charge, was not sufficient grounds to stay a criminal fraud proceedings. Because the OSC securities fraud charge had not been heard on its merits, the Court permitted the criminal fraud prosecution to continue. From June 2011 to May 2012, various investors of Systematech filed complaints of fraud with the Peel Regional Police. The Police did not commence an investigation at the time – they simply took in the complaints and opened a file. The investors also filed complaints with the OSC. On December 15, 2011, the OSC issued a Temporary Order as against Systematech, Voung and Quach, prohibiting them from trading in securities. The securities that Systematech were engaged in trading were promissory notes to solicit funds for Systematech’s foreign exchange trading. On October 31, 2012, the OSC issued a Statement of Allegations as against Systematech, Voung and Quach. In the OSC context, a Statement of Allegations is similar to a charge in the criminal context in the sense that it is the form to make allegations. The OSC alleged that Systematech, Voung and Quach had solicited securities without being registered, offered securities without filing a prospectus, and had engaged in conduct that amounted to securities fraud. Systematech had large amounts of money on deposit at financial institutions. The OSC alleged that contrary to the representations made by Voung and Quach to investors, the majority of the investor funds received by Systematech were not used for the purposes of trading. Rather, a large portion of the investor funds were used to pay returns and redemption payments to investors. Other money was lost in trading or used for personal purposes. Although not stated, Systematech was effectively insolvent and could not pay back its investors. In April 2013, after the OSC Statement of Allegations was issued but independent of the OSC investigation and prosecution, the Peel Regional Police commenced their own investigation. The Police conducted their own investor interviews. The Police also issued production orders to financial institutions, received and analyzed the results of those production orders, and made attempts to interview other investors. In October 2013, the Police executed a search warrant and then arrested Voung and Quach. The Police charged Voung and Quach with fraud under the Criminal Code. In November 2013, within a month of being charged with criminal fraud, Systematech, Voung and Quach entered into a settlement with the OSC. Systematech, Voung and Quach admitted to soliciting securities without being registered and offering securities without filing a prospectus with the OSC. They agreed to various market bans prohibiting them from soliciting securities going forward or being involved with investment companies. They further agreed to “disgorge” to the OSC $5,623,954.96, being the amount that they had solicited from investors and not paid back. Although Systematech, Voung and Quach agreed to “disgorge” $5,623,954.96 to the OSC, the Settlement Agreement specifically stated that Systematech, Voung and Quach were not admitting to securities fraud. The Agreement also stated that the police fraud charges against Voung and Quach were outstanding, and that if Voung and Quach were convicted on the police fraud charges, the OSC could continue their prosecution on their securities fraud allegations. In 2014, while going through the property seized in the execution of their search warrant, the Police came across documents involving lawyers. This resulted in an investigation of the lawyers and the Police putting the Law Society on notice of their investigation. Various documents relating to lawyers were ordered sealed. This development delayed the prosecution of the case. In 2015, a preliminary inquiry in the criminal fraud case was held. Voung and Quach were committed to trial. In 2016, further documents were received by the Police from financial institutions pursuant to their production orders. The Police engaged an OSC forensic accountant to draft a report. In 2017, the forensic accounting report was served on Voung and Quach. They moved to stay the charges on the basis of a breach of their section 11(b) Charter right to a trial within a reasonable amount of time. This application was dismissed. In 2018, after their section 11(b) Charter application failed, Voung and Quach brought the section 7 Charter application at issue in this blog, alleging abuse of process. It is worth noting that seven years has passed since the investors first made their complaints to Police and the OSC. In their application, Voung and Quach alleged that the same issues (fraud) as were before the OSC and were the subject matter of their Settlement Agreement were before the criminal courts. They claimed they were being tried for criminal fraud after also being charged with securities fraud meant that they were being tried for the same offence twice. These criminal proceedings do not involve the re-litigation of issues that were already determined in the Applicants’ favour in an earlier proceeding. The OSC made no finding either explicitly or implicitly with respect to the allegation of fraud against [Voung and Quach]. Furthermore, the parties did not enter into a consent or agreement that addressed the issue of fraud. The OSC was very clear in the Settlement Agreement that fraud was excluded. There are no issues of finality or fairness that are violated in finding that issue estoppel does not apply. It is unknown at this time if Voung and Quach are intending to appeal this decision. It is also unknown if a date for their criminal fraud trial has been set. This Court’s decision is reported as R. v. Vuong and Quach, 2018 ONSC 3348. The decision is not publically available on-line. For further information on this case, or any other fraud recovery inquiry, contact Canadian Fraud News Inc. at deborah@canadianfraudnews.com. For anyone interested, despite what is said above in the report, the criminal fraud trial is already ongoing.